As a third generation business, our valued customers have given us the oppurtunity to prove our commitment through quality autobody collision work and great value! At Ace Auto Body we strive to keep our customers 100% satisfied, and by doing so we guarantee all of our repairs. 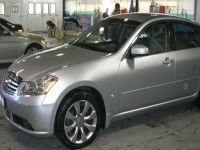 We are an independent, family owned and operated collision repair facility located in Boston, MA. We have been at our current location since 1973.
for over 15+ years, and a member of the AASP. Welcome to Ace Auto Body. Three generations of serving our valued customers has given us the opportunity to prove our commitment towards quality work along with great value. We continually strive to make this happen both presently and future. 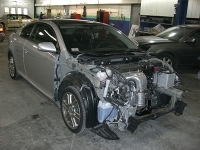 Being a full service collision repair facility we are licensed by the state of Massachusetts. We have several licensed appraisers here on staff. We are an outstanding member of the BBB and have been for many years. We are an independent, family owned and operated collision repair facility located in Boston, MA. We have been at our current location since 1973. Our commitment to our clients is to maintain the highest level of Repair services while delivering cost efficient results and meeting the most demanding schedules. Whether Commercial or Personal , no job is too small or too large for us!